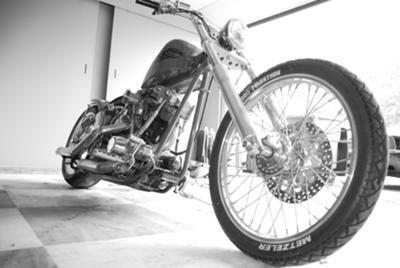 This custom shovelhead was built in 1994. It has a 96 cubic inch shovelhead. Sputh cases, dual plug heads with fluted pushrod tubes. 2" over 38 degrees. Keep building your bike is very cool.